THANK YOU MEGAN PROFFITT AND TEAM FOR AN AMAZINGLY WELL ORGANIZED EVENT. HERE ARE SOM OF MY EVENT PHOTOS. A FEW DRESSAGE AND STADIUM JUMPING. I’M SORRY I COULDN’T STAY TO WATCH MORE ON THE BEAUTIFULLY SET UP AND ORGANIZED FACILITIES. 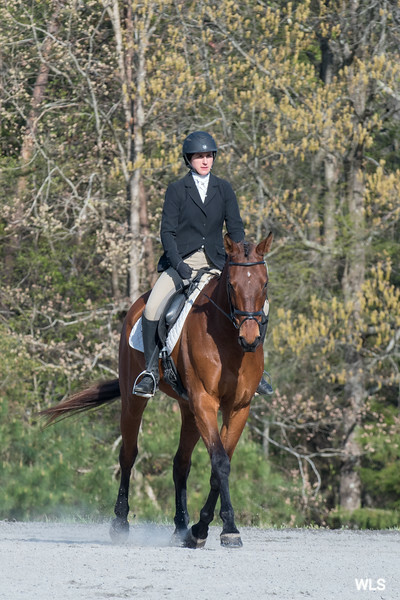 CROSS COUNTRY PHOTOS ARE IN ORDER OF GO BUT WITH SEVERAL HORSES ON COURSE ONE RIDE MAY BE SEPARATED BY ANOTHER HORSE'S PHOTOS. IF YOU FIND YOUR PHOTOS LOOK AROUND FOR MORE ON EITHER SIDE. $2.00 DOWNLOADS ARE AVAILABLE — GOOD FOR SOCIAL MEDIA USE — AND ANY SALES WILL BE DONATED TO THE DEEP RUN PONY CLUB. PHOTOS, LARGER DOWNLOADS AND OTHER GOODIES ARE AVAILABLE WITH THE "BUY PHOTOS” BUTTTON. THANK YOU MEGAN AND SUZIE FOR A REALLY ENJOYABLE DAY.